Vintage 1968 Pininfarina Press Photo of Ferrari 365 GTB/4 Daytona. 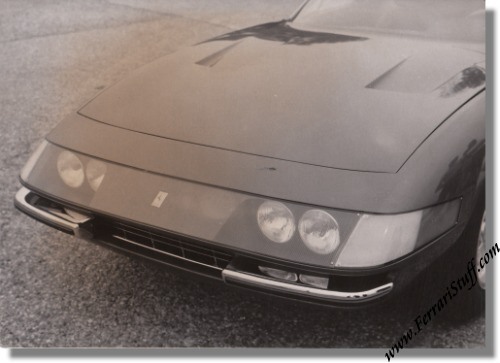 This is a vintage press photo taken around the time of the 1968 Paris Motorshow and shows the then new Ferrari 365 GTB/4 Daytona. Being so early, it of course shows the Daytona with the Plexiglas front. Good condition with a degree of yellowing, as visible in the scan, and Pininfarina stamp on the back.